Reliable information about the structure of pharmaceutical compounds is important for patient safety, for the development of related drugs and for patenting purposes. However, working out the structures of pharmaceuticals can be tough. The individual molecules can pack together in the solid in different ways to form different polymorphs, and pertinent properties such as stability, bioavailability or how fast they dissolve in the stomach can vary from one polymorph to another. 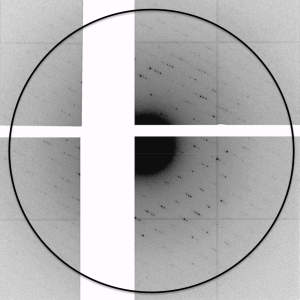 Single crystals (as used in standard X-ray diffraction experiments) therefore might not be representative of the bulk sample, or indeed might not even be available. Moreover, the compounds themselves can be damaged by the high energy of the X-radiation used. 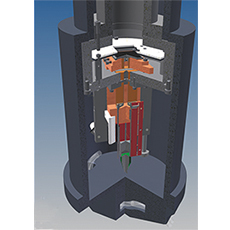 As electrons are less damaging than X-rays by several orders of magnitude, using electron diffraction should be an attractive alternative, particularly when only nanometre-sized crystals are available. Cooling the sample to liquid-nitrogen temperatures (‘cryo-cooling’) can also help to minimize radiation damage, but the compound might change structure on cooling, so the structure that is obtained is not actually that of the material as taken by the patient at room temperature. 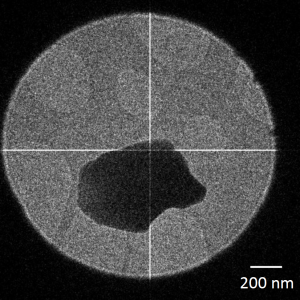 A group of scientists from a number of European countries have tackled all aspects of these problems by using low-dose electron diffraction, rotating the sample so that individual nanocrystals are not in the electron beam long enough to be damaged and collecting the diffraction data using a new type of detector developed by CERN [van Genderen et al. (2016), Acta Cryst. A72, doi:10.1107/S2053273315022500]. This new detector combines a high dynamic range with a very high signal-to-noise ratio and sensitivity to single electrons. Radiation damage was reduced so much that cooling the sample was not found to be necessary, allowing the team to study the anticonvulsant drug carbamazepine and nicotinic acid (vitamin B3) at room temperature. The data they collected were high enough quality that they could solve the structures of the two compounds using direct methods and software developed for X-ray crystallography. Based on their experience with these case studies, the authors are planning to improve the design of their experimental setup further, and will also be developing programs specifically designed for handling electron-diffraction data. 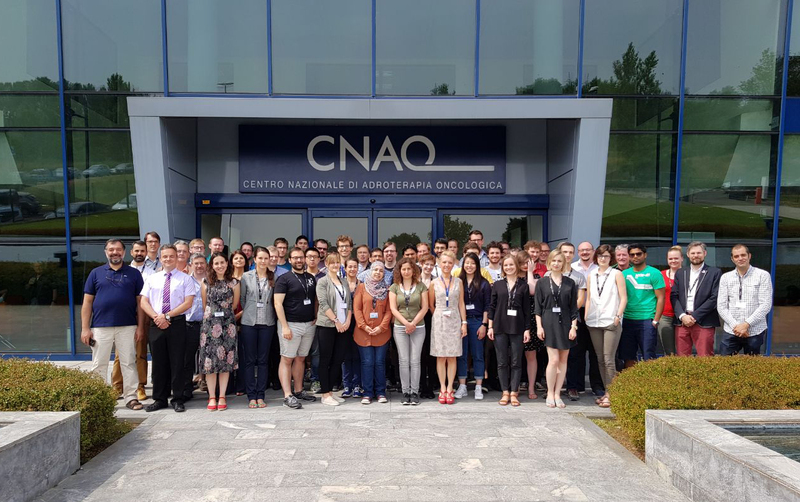 The first scientific school of the OMA Project took place at CNAO in Pavia, Italy between 4th and 9th June, gathering 75 delegates from across Europe, including all OMA Fellows and their supervisors. Along the OMA School, CNAO also hosted a school of the Medicis-Promed project, providing opportunities for networking between two major European Training Networks that are supported within the Horizon 2020 Marie Skłodowska-Curie Actions (MSCA). Colleagues Hans Radhoe and Navrit Bal were there representing ASI in the event. 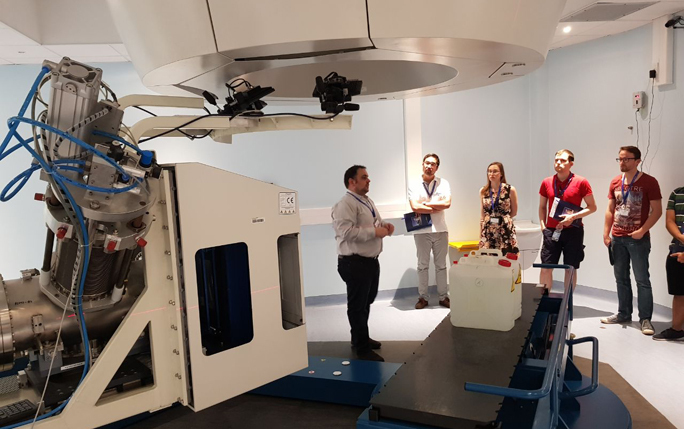 The event kicked off for both schools on Sunday afternoon with a tour of the CNAO synchrotron and treatment rooms, guided by local experts, Dr. Monica Necchi and Sergio Gioia, who explained the technical details of the facility and the patient treatment process. Participants of the OMA School on Medical Accelerators. Visit of the accelerator facilities at CNAO. The OMA School talks on Monday morning started with an opening word by Dr Sandro Rossi, and the school programme overview by Dr Monica Necchi, both representing CNAO. They were followed by the OMA network introduction by Magda Klimontowska from the University of Liverpool. The scientific part of the school started with lectures on the History of Medical Accelerators by Dr Tomas Vrba (Czech Technical University in Prague), and an Introduction to Radiation Therapy given by Prof Roberto Orecchia of CNAO. Monday continued with a focus on beam physics and diagnostics, with talks by Drs Javier-Resta Lopez and Ralph Fiorito, both from the University of Liverpool, and Dr Adam Jeff representing the company A.D.A.M. The day concluded with a dynamic questions & answers session, with contributions from the speakers of the day. The second day focused on accelerator technology relevant for medical applications. Gabriel Gaubert (Pantechnik) initiated the day with a lecture on Ion Sources, followed by Dr Simon Jolly (UCL) contributing a lecture on Low Energy Beam Transport including the RFQ. The extensive programme of the day included sessions on Beam Manipulation by Dr Angeles Faus-Golfe (LAL-CNRS), the Cyclotron by Dr Eric Forton (IBA), the Synchrotron by Dr Fadmar Osmic (MedAustron) and Beam Extraction by Dr Adriano Garonna (TERA Foundation). The topics covered in the lectures were further discussed during the study sessions, where participants in small groups worked with supervisors on solving problems linked to lectures. The day finished off with a public lecture ‘At the forefront of radiotherapy’ by Dr Marco Pullia of CNAO, which gathered participants of both, the OMA and Medicis-Promed Schools and an external audience from CNAO and the University of Pavia. Starting from Wednesday the programme focused on medical applications of accelerators. Simulation Codes were discussed by Dr Sven Reiche of PSI, followed by a lecture on Accelerator Control Systems by Prof Luigi Casalegno from CNAO. The talks on that day finished with Beam Delivery System presented by Dr Oxana Actis (PSI), and Marko Mehle from Cosylab introducing the public to regulations applying to the use of medical accelerators. The afternoon included a social hike with a guided tour of a vineyard, providing an opportunity for further networking in the picturesque surroundings of Casteggio hills. The talks on Thursday focused on Radiobiology (Dr Emanuele Scifoni, INFN), Treatment Planning System (Dr Adam Aitkenhead, Christie) and Image-guided Radiotherapy (Prof Guido Baroni, CNAO), followed by another study session in small groups supervised by the experts of the school. In the afternoon a poster session was organized, with fellows and students presenting their research projects, and joined by industry partners for a table-top industry display. The poster session was a joint event for both OMA and Medicis-Promed schools. The day was concluded with a seminar ‘New X-ray sources and approaches for imaging during therapy and intervention’ given by Dr Gil Travish from Adaptix. On the final day of the school the audience learned about challenges and future perspectives for CNAO, presented by Dr Sandro Rossi and his team. The lecture on Patient Imaging was given by Dr Georgios Dedes from LMU. The event concluded with an industry session with contributions from OMA industry partners: ViALUX, Cosylab and IBA. OMA project coordinator Prof Carsten P Welsch finally drew proceedings to a close summarising the week’s main outcomes and successes. Researchers from Switzerland, Sweden and the Netherlands recently solved the atomic structure from a single protein nano-crystal (volume: 0.14 um3) using ASI’s detector technology. This is an order of magnitude smaller than what was previously achievable and is due to the unprecedented sensitivity of the detector. This paves the way for structure determination of macromolecules using electron diffraction and ASI’s detectors. https://www.amscins.com/wp-content/uploads/2015/05/LysDiff-300x300.png 300 300 admin https://www.amscins.com/wp-content/uploads/2018/11/asi-logo-slogan.jpg admin2017-09-20 09:21:582017-12-12 10:36:53Protein Crystallography goes Nano! The EU awarded a H2020 “Marie Skłodowska-Curie Innovative Training Networks” (ITN) grant for the Optimization of Medical Accelerators (OMA) to a consortium consisting of 14 universities, research institutes and companies. The consortium is lead by Prof. Dr. Carsten WELSCH from the University of Liverpool that inspired the consortium to reach this “dream result”. This H2020 grant will allow us to train 15 Fellows over the next four years and organize many events for the wider medical accelerators community. Cancer is a major social problem, and it is the main cause of death between the ages 45-65 years. In the treatment of cancer, radio therapy (RT) plays an essential role. RT with hadrons (protons and light ions), due to their unique physical and radiobiological properties, offers several advantages over photons for specific cancer types. In particular, they penetrate the patient with minimal diffusion, they deposit maximum energy at the end of their range, and they can be shaped as narrow focused and scanned pencil beams of variable penetration depth. Although significant progress has been made in the use of particle beams for cancer treatment, an extensive research and development program is still needed to maximize the healthcare benefits from these therapies. The Optimization of Medical Accelerators (OMA) is the aim of the here-proposed European Training Network, in line with the requirements of the EC’s Medical Exposure Directive. 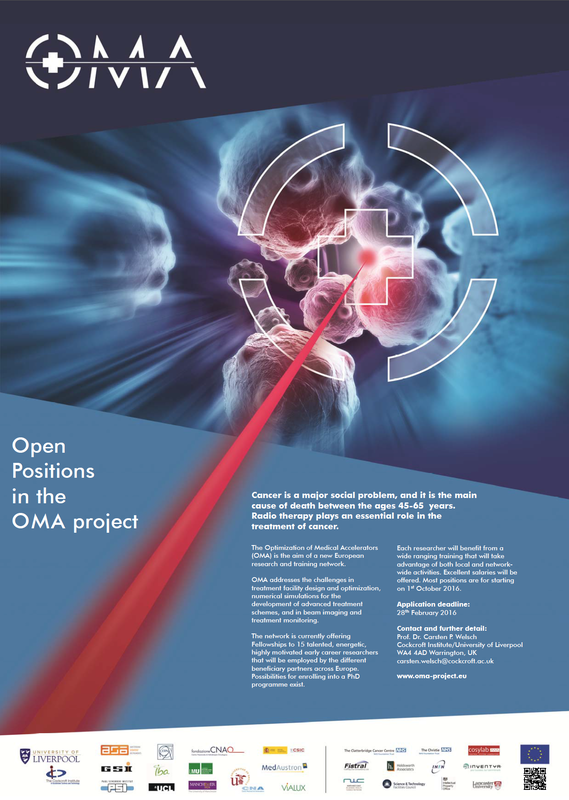 OMA joins universities, research centers and clinical facilities with industry partners to address the challenges in treatment facility design and optimization, numerical simulations for the development of advanced treatment schemes, and in beam imaging and treatment monitoring. The proposed R&D program ranges from life sciences (oncology, cell and micro biology and medical imaging. ), physics and accelerator sciences, mathematics and IT, to engineering. It is hence ideally suited for an innovative training of early stage researchers. By closely linking all above research areas, OMA will provide an interdisciplinary education to its Fellows. This will equip them with solid knowledge also in research areas adjacent to their core research field, as well as with business competences and hence give them a perfect basis for a career in research. Amsterdam Scientific Instruments (ASI) will contribute to the project with their detector technology and laboratory capabilities. The ESR will receive hands-on training which includes X-ray imaging, mass spectroscopy and electron microscopy for detector characterization.